Drug Clinic, Alcohol Clinic and Effective Treatment for all Addictions, process addictions, dual-diagnosis issues and eating disorders. South Africa Rehab with CapeRecovery provides you with some of the best facilities in the world. Cape Town Rehab at CapeRecovery is totally unique as we are run by real people with real life experience of all the treatment centres that we work closely with so the rehab help that we are able to provide is the highest quality, experienced rehab help! We can be fully impartial as we work with a variety of different places and each one of them has a totally different speciality. We can also maintain this impartiality throughout the whole rehab and recovery process as we don't have our own clinic to fill so the advice and information we give will always be totally honest and open and there will always be options provided. We have an excellent drug clinic, alcohol clinic and rehab for all addictions, process addictions, dual-diagnosis issues and eating disorders and we cover every stage of the process with quality rehab, continued care, secondary care, tertiary care and supported sober living. Cape Town Rehab and The Cape Town Recovery Community. The Cape Town Recovery Community is huge and as well as a place for getting clean and sober in the first place, Cape Town is the perfect environment to grow and learn to live your life and enjoy your recovery in the most beautiful surroundings. Cape Town Rehab at CapeRecovery provides all the support and information you will ever need and doesn't forget about you once you are in rehab, we follow up with every client and then offer access to the recovery community, friendship, fellowship, meetings, social events and even volunteering opportunities as a part of our unique CapeRecovery Experiences. This is the crux of what recovery is all about so wherever in the world you are we are the only people with whom to plan your recovery. In addition to all of this we also offer airport transfers for local and overseas clients, help with finding an appropriate sponsor if necessary and a friendly face to meet you personally at the airport and allow you to ask all the questions that are on your mind. In fact, it's simply an honest and transparent service that has been lacking in this business for far too long now. CapeRecovery has been around for two years and we have finally arrived on the scene because people like the way we do business! We are the only ones to offer the complete Cape Town Rehab experience! It is difficult to run a successful business in a country where there are a huge percentage of people who simply work to eat and cannot afford the inflated costs of many treatments and rehabs, that's why for Cape Town Rehab at CapeRecovery it is always our basic principle that we offer assistance to everyone regardless of their ability to pay for treatment. Every single person who calls us is equal and we have the time to talk to anyone even if it ends in no profit. I believe this is where we differ mostly from every rehab and agent in this competitive market. Our ''competition'' are simply interested in people with lots of money available so they can take the commission and profit from the high end of what is a lucrative market. This type of discrimination saddens me personally and yes, to run a business there certainly must be some degree of profit, but we use a percentage of any profit to feed back into our resources to help and advise all the people who make up the vast majority here in Africa, those on low or no income. This is a perfect situation for me because it further enhances the reputation of CapeRecovery and gives me peace of mind doing what makes me happy, genuinely helping other people. See Living Clean page for more info on recovery life. Whatever drug clinic, alcohol clinic, rehab help or support you receive from us is always courteous and always of the highest quality, we don't discriminate. We will always do absolutely everything that we possibly can to help. 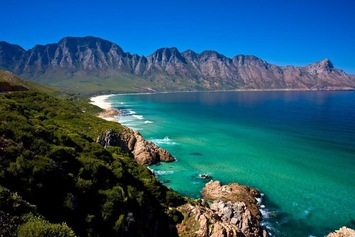 We also have a variety of South Africa Rehab Centres if you would prefer another location however you only get the full Cape Recovery experience with Cape Town Rehab as I believe we have the best specialist drug clinic, alcohol clinic with rehab help and support available for all addictions, process addictions, dual-diagnosis issues and eating disorders. We are also in the unique position of offering packages for any combination of all the above as our specialist rehabs and clinics work together towards our goal of offering the only fully client focussed, individually tailored rehab and recovery packages around! For other options around South Africa Rehab and Cape Town Rehab support and information, like our unique Family Support, only the top rehabs or Sober Living homes, check out the CapeRecovery South Africa Home Page or simply Contact Us and we will do all we can to help you. Overseas visitors check out our three month and six month rehab and recovery packages! So, for Rehab Help, finding the best South Africa Rehab, Cape Town Rehab, Drug Clinic or Alcohol Clinic then we are the ones to trust because we truly care about our clients and want them to enjoy a clean, sober and happy life!